Everyone takes their concrete for granted until it is too late. If you’ve noticed that your driveway, sidewalk, or patio has started to sag, tilt, or crack, call B&B Concrete Lifting right away. Our team has the experience and skills needed to fix underlying problems before they force you to fully replace your slabs. 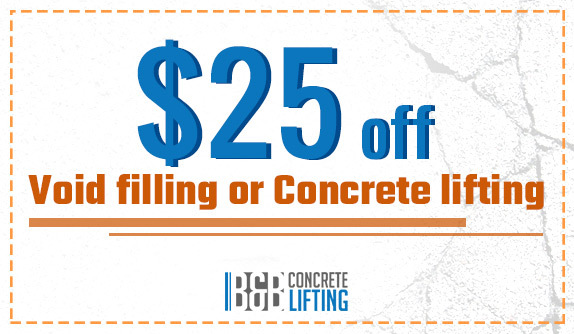 Save $25 off of your next void fill or concrete lift service when you mention this coupon! 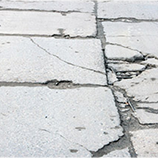 ► Perform a free and thorough inspection of your concrete slabs to determine the cause of the problem. ► Provide you with a free estimate for the work that needs to be done. ► Arrive on time and complete all work as quickly as possible. 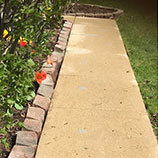 ► Perform work that offers better results than even a full concrete slab replacement. 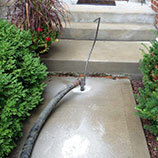 ► Be much less expensive than other forms of concrete repairs. At B&B Concrete Lifting, we have built our business on being able to diagnose and fix problems that are causing your concrete slabs to sink, crack, and tilt. The two main causes of sinking or tilting concrete are erosion and compaction. Erosion is caused when the soil underneath a slab is washed away by water, and compaction is caused by the weight of the slab (as well as anything resting on the slab) pressing down on the soil and flattening it. The weather and sprinkler systems can lead to erosion, while compaction is usually caused by improper preparation before a slab was poured. If left unfixed, erosion can create voids — empty spaces under a slab — where uneven pressure will eventually break the slab. Luckily, B&B Concrete Lifting can solve these problems. Call us today for a free inspection and estimate on the concrete lifting services you need! Concrete lifting or leveling is a process that attempts to correct an uneven concrete surface by altering the foundation upon which the slab sits. 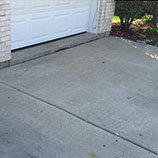 B&B Concrete Lifting has the knowledge and experience to properly repair your driveway, garage floor, and more! A void may be a pocket of air or water beneath the surface of your concrete caused by soil consolidation, erosion, or improper concrete preparation and pouring. We will fill the void with material to stabilize the area and eliminate the pocket.